Evidence continues to mount that patients’ and visitors’ impressions of a health care facility’s interiors directly relate to customer satisfaction. Specifically, surveys show that people make judgments about the quality of care they receive based on the condition of the health care environment. The importance of cleanliness, condition of furnishings and pleasing design and colors is demonstrated by the hospital’s environment. An interior space with a distinct theme is common practice in restaurant and hotel design. But in recent years, more healthcare organizations, doctor’s clinics, diagnostic centres, pathological labs, nursing homes, healthcare centres and hospitals have begun adopting themed designs—and with good reason. 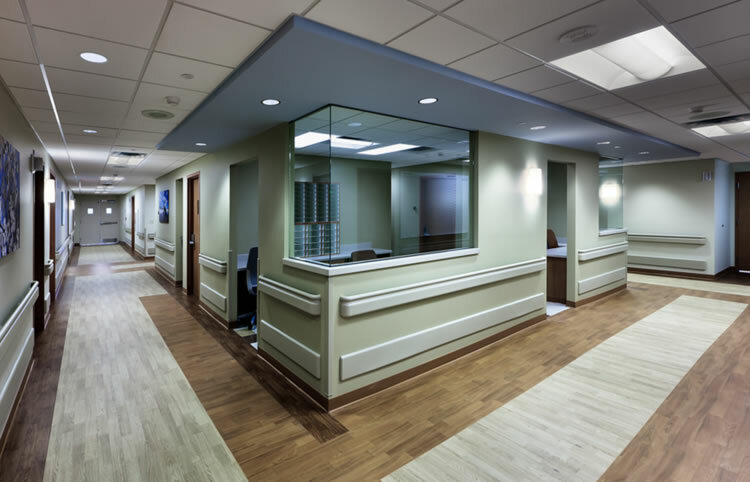 A memorable interior is one way a hospital or healthcare centre can stand out among its peers. At the same time, users—patients, families, and staff—have become accustomed to more refined and sophisticated designs in retail and hospitality spaces and expect the same from healthcare buildings. Maxwell Interiors specialise in medical clinic design and fitout, with our services stretching from comprehensive interior design to complete construction and building of diagnostic centre, pathological centre, x-ray clinic, ultrasound clinic, health clinic, beauty- skin clinic, healthcare centre, nursing homes and hospitals. With the success of your practice always in mind, our interior design services for hospital care industry are tailored to meet the needs of your practice and with your busy schedule so that nothing is overlooked in the transformation of your new practice. 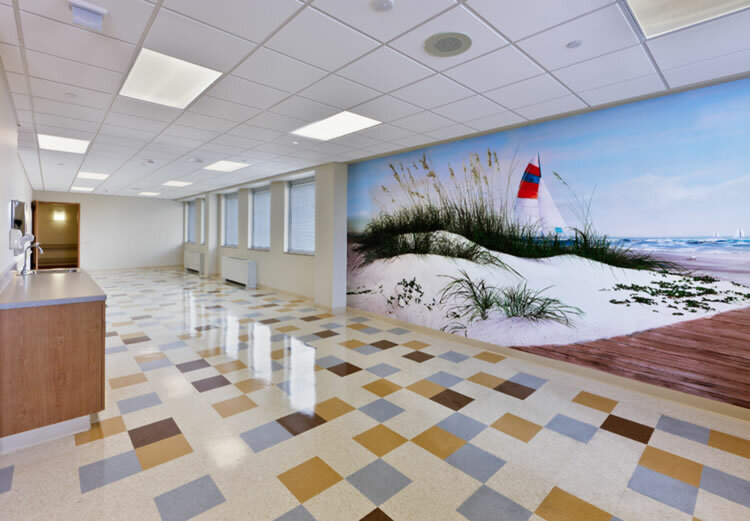 While hospital interior design concepts often are driven by budgets and schedules, good design solutions offer longevity, too. Consequently, designs for health care environments also must be flexible enough to accommodate tomorrow’s breakthroughs to keep a hospital ahead of its competition. Medical and Dental Space Planning is an indispensable guide to the myriad of details that make a medical or dental practice efficient and productive. The unique needs of more than thirty specialties, as well as primary care, are explained in the context of new technology and the many regulatory and compliance issues influencing design. Our aim in each medical centre design project is to deliver a finished clinic that is efficiently laid out, completely equipped, and attractive & comfortable for both patients and staff. From practical processes such as the first clinic floor plans and a medical fitout incorporating essential equipment, to dynamic and striking clinic reception design is top priority. Our clinic design ideas embrace the art and science of healthcare design. We know what it takes to deliver aspects that are both practical and beautiful, from benches and table tops that are perfectly shaped yet easy to sanitise, to coordinated fixtures and décor, our approach combines medical centre fit out with clinic interior design in a seamless process. From pre design services to final interior design tasks, we’ll help make sure that your interior design is completed on time and on budget. It is the role of a design team to be mindful of potential growth and master planning at the start of each new project. Strategies for future flexibility include establishing a design language that determines where fixed elements are anchored within a project and where there may be need to change over time. Adaptive and flexible solutions might integrate new technologies, accommodate for new modalities and levels of care and offer expandability. Your practice speaks more about you than you do, we believe what we see more than we hear. We believe we can help you achieve incredible success in your medical practice through outstanding medical office interior design. There is a blind spot in the professions that we exploit. Many practitioners concentrate on their clinical skills and may overlook the critical importance of their practice environment. Our practice presentation, including medical interior design, sends a clear message to patients that your practice is modern, sophisticated and attuned to their needs. The interior design concepts and themes of Clinics and urgent care units are given priority. The demand for out-patient clinics and urgent care centres is growing and, because of the many helpful services they provide, these facilities need to be designed to accommodate the needs of people seeking immediate medical attention. 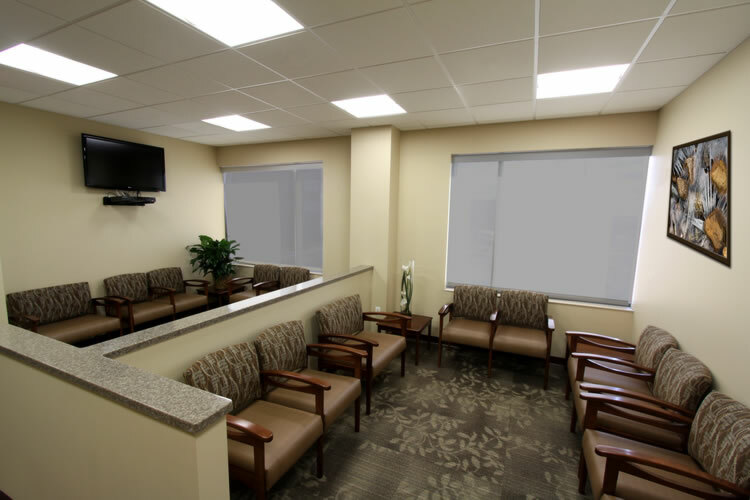 Interior designers who specialize in health care clinics realize the need for creating cheerful, well illuminated waiting and patient care areas and the necessity for using durable – yet attractive – fabrics and finishes that can be maintained with the often harsh sanitizers and cleaners used in healthcare environments. One doesn’t usually experience a healing environment in the waiting area of an emergency room, yet this is often a patient’s first impression of the hospital. For many it is the design of the hospital’s “front door” because an increasing number of hospital admissions come through the emergency department. 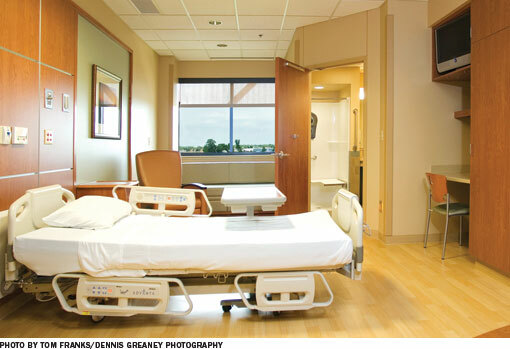 Special attention is given to make decisions about a broad range of items including furniture, flooring, wall coverings, lighting and cubicle curtains in any room of hospital area. Whether you’re planning to update your surgery practice or healthcare clinic, get a fresh new clinic reception design, or schedule a complete dental clinic fit out, it’s about more than state of the art equipment. Your practice should look and work in a specific way and that is where our expertise as a healthcare design firm shines. Want to build or set up doctor’s clinic in Gurgaon!! Want to remodel renovate redesign your clinic or nursing home!! Want to set up a big medical centre healthcare facility in Gurgaon!! Planning to construct or build a Hospital Nursing Home Diagnostic Centre!! Thinking to open private healthcare centre for beauty treatment in Gurgaon India!! We can help you build a hospital clinic or nursing home in Delhi, Gurgaon, Noida NCR India!! Right here is the perfect blog for everyone who wishes to find out about this topic. You understand so much its almost hard to argue with you (not that I personally would want to…HaHa). You certainly put a brand new spin on a subject that has been discussed for decades. Wonderful stuff, just great! I just want to tell you that I’m very new to blogging and really savored your website. More than likely I’m want to bookmark your website . You certainly have great article content. Kudos for revealing your website page.